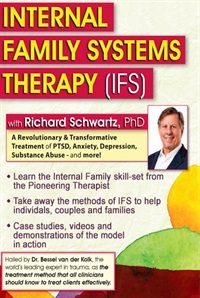 In 2000, Richard Schwartz founded The Center for Self Leadership in Oak Park, Illinois. Dr. Schwartz is a featured speaker for many national psychotherapy organizations and a fellow of the American Association for Marriage and Family Therapy, and he serves on the editorial boards of four professional journals. He has published four books and over 50 articles about IFS. 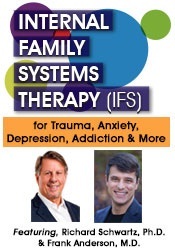 His books include Internal Family Systems Skills Training Manual (with Frank Anderson, M.D. and Martha Sweezy, Ph.D) (PESI, 2017), Internal Family Systems Therapy (Guilford Press, 1997), Introduction to the Internal Family Systems Model (Tarcher, 2001), and The Mosaic Mind (with Regina Goulding) (Trailheads, 2003), as well as Metaframeworks (with Doug Breunlin and Betty Karrer) (Jossey-Bass, 1997). Dr. Schwartz lives and practices in Brookline, MA and is on the faculty of the Department of Psychiatry, Harvard School of Medicine. 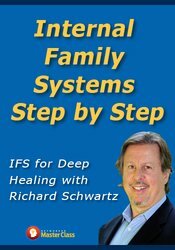 Financial: Richard Schwartz is the Founder of The Center for Self Leadership. He receives a speaking honorarium from PESI, Inc.